We have been informed that the original version of the hero image for this post did not contain enough Verizon branding. It has since been corrected. We regret the error. You've seen Evan Blass's tweet on the matter by now: Verizon will allegedly sell the 2016 Nexus phones, Marlin and Sailfish. Blass doesn't provide any visual confirmation or additional info, but that's not exactly irregular for [email protected] While I'm typically trustworthy of Blass's info, Nexus news is serious business here at Android Police, so I thought I'd dig a bit deeper and see what we could find out. After consulting a source that has proven trustworthy in the past, I feel comfortable saying at this point that it is highly likely Verizon Wireless will sell the 2016 Nexus phones directly. I am unable to confirm if the phones will be available on any other carriers at this time. Suffice it to say, Verizon and Nexus have a troubled past. 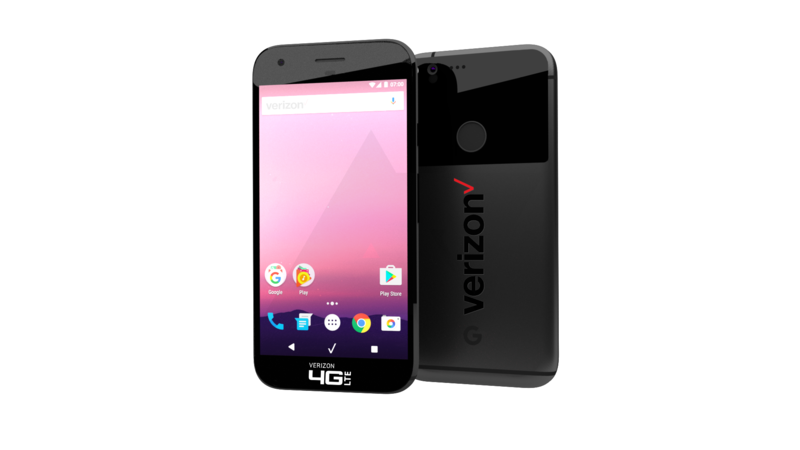 While devices like the Nexus 6P and 5X do work on Verizon just fine if you pop in an active Verizon SIM, there have long been issues getting Verizon retail locations or customer service to activate Nexus hardware on new lines, even though the carrier is under an obligation to allow unlocked devices on its network's 700MHz "Block C" spectrum. Thus, it would make sense for Google to partner with Verizon to make the new Nexus phones "Verizon-friendly" by selling them directly on the network. By doing so, Google could much more easily assure owners of Nexus devices not bought on Verizon that their phones would work on the network, because Verizon wouldn't have the whole "your phone isn't in our system" excuse when attempting to activate them. At least, in theory. I say "in theory" because while we have no reason to believe the versions of the 2016 Nexuses Google sells on its own store won't be four-carrier compatible, we also don't have strong evidence to confirm they will be, either. But given that the Nexus 6, 5X, and 6P all were? It would be a rather strange step backward to take, so until we see evidence suggesting otherwise, I'd operate under the assumption that Marlin and Sailfish devices purchased from Google or other non-carrier retailers will work on the big four. Anyway, by selling the phone directly on Verizon, Google would hopefully tear down the final practical roadblock to Nexuses being true four-carrier devices. As to rumors about AT&T or other carriers selling the new Nexuses? We don't have anything suggesting that, and I wouldn't take references to AT&T network features from a system dump as compelling evidence. As for the string in said dump about carrier-locked Nexuses not having unlockable bootloaders? Well, it could happen. Even AT&T's Nexus 6 had an unlockable bootloader, though - it just was SIM-locked to the network. But Verizon is a stickler about bootloaders, as we know, so I wouldn't be surprised if Google made a concession to Verizon on the models Verizon will sell and let them lock the bootloader. This would, of course, mean nothing for the Google-sold versions. Our source suggests that the Verizon retail launch of the phone would probably be some time in early October, in line with a date Droid-Life casually dropped into a story about the LG V20. We don't know what DL's source is, but it's possible - even probable, given their extensively excellent track record on Verizon rumors and leaks - that their source was referring specifically to the Verizon launch of the phone. So, I wouldn't necessarily pencil in "early October" as the retail date for the 2016 Nexuses - that could be specific to Verizon - but you can probably say the launch will be "around or before" that time. Again, we just don't know how this will go down, and release dates are always subject to change. Verizon will very likely sell the 2016 Nexus phones directly. Verizon seems to be planning on an early October retail launch for them. Verizon's versions of the Nexuses could have locked bootloaders. We don't know what Google's retail launch date or announcement timeframe are for the 2016 Nexuses. We don't know if carriers other than Verizon will sell the new Nexuses. I think Evan's scare-quotes implying the phones won't be "Nexus" devices should be ignored. These phones will very likely be branded as Nexus devices. No, I don't know if there's going to be a big, ugly Verizon logo on them. Nexus season is, indeed, in full swing. And I know everyone is dying for information about release dates and pricing - and even the names of the phones. When we have good information about any of that stuff that we feel confident enough to publish, we'll let you know. Until then, there are still a lot of unknowns.